When I turned 40, I thought my hockey skills were on the decline. I thought that my time to win an ice hockey championship was gone. I also thought that I would be playing less, not more. All these things have not come true. In fact, this has been my best year to date when it comes to hockey. 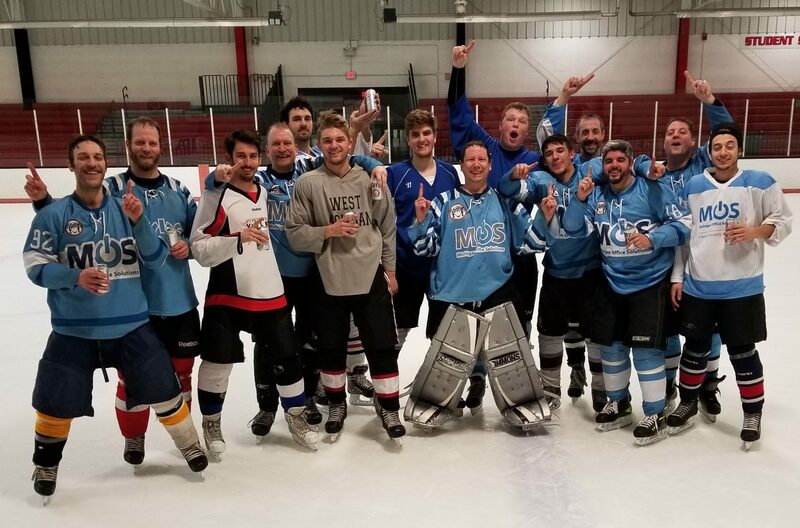 I have achieved two ice hockey championships this season. After achieving my 30th roller championship back in July, I just achieved my 31st today. I played solid today, going 2-1 with the only loss in the top division finals game. A game that I played very well in on top of that. The championship finals game that we won was a tight 4-3 victory. It wasn’t due to bad goaltending, but we did get a lucky bounce at the start of the game that went off the skate of the opposing goalie and went in. It really was an opportunistic bounce that wasn’t the difference at the time, but it was a key goal in the end. I did my part to seal the deal in the last few minutes with a couple key stops. Now, I am looking forward to the two week break from roller hockey and can concentrate on my two ice hockey leagues, reffing on the weekend, my day job, and the class I am teaching.